Once you create data-log view and select data-points you are able to view it’s appearance by clicking on appearance button. 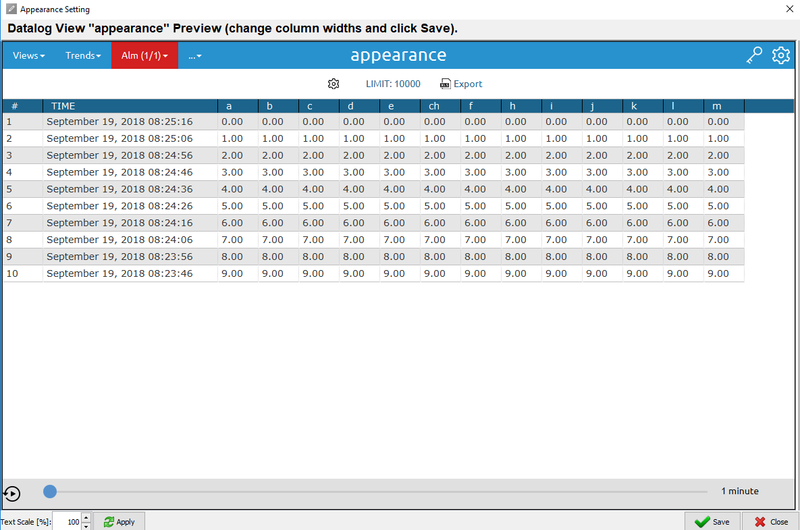 New window will appear where you will see preview of your data log view, you can drag columns to increase their size or decrease their size. Once you click save everything will be saved and when you download project to your device size of columns which you have set in this preview will be applied and will stay retained on the device.